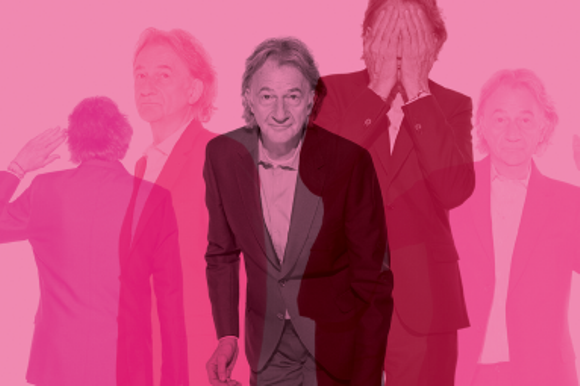 Today (19 November 2015) The Lighthouse, Scotland’s Centre for Design and Architecture, has announced that it will bring the world famous “Hello My Name is Paul Smith” exhibition to Glasgow early next year, launching to the public from 21 January. Debuted at the Design Museum in London in 2013/14 and touring earlier this year to Modemuseum Hasselt in Belgium, “Hello, My Name is Paul Smith” invites you into Paul Smith’s world; a world of fashion, creation, inspiration, collaboration, wit and beauty. It draws on Paul's personal archive, from the company's beginnings in Nottingham to its international prominence today. The exhibition will explore how the designer's unique creative intuition, together with an understanding of the roles of designer and retailer, have laid the foundations for the company's lasting success and offer a unique insight into the magnificent mind of Paul Smith. Paul Smith, designer, said: “I've always had an affection for Glasgow based on the city's strong art heritage and its wonderful link with creativity. Charles Rennie Mackintosh, the School of Art and just the whole atmosphere of the place is fantastic and so I'm delighted to be taking the exhibition to The Lighthouse, Scotland's Centre for Design and Architecture." The exhibition begins with a recreation of his first shop - a compact three-metre-by-three-metre space that he opened in Nottingham in 1970. The display will also feature a makeshift version of the designer's office, known for being a myriad of curiosities, full of objects collected from his many travels, as well as artwork, bikes and books. Other highlights come by way of a recreation of his design studio, a collection of his greatest collaborations (which span cars to Evian bottles) and a look at his many unique shop designs from around the world. The exhibition runs until 20 March, 2016. Tickets are £6 adults and £4 child/concession. The Lighthouse is offering a special exclusivity package for businesses which would like to host a private event in The Lighthouse during the exhibition. This is an opportunity for lifestyle businesses to align themselves with a world renowned prestigious brand. With support from Glasgow City Council and Creative Scotland. A touring exhibition from the Design Museum, London. Exhibition trailer video available via The Lighthouse’s YouTube channel. Feel free to use. Images of Paul Smith available for download via The Lighthouse’s gallery on the website. A media launch of the exhibition will take place on 20th January, 2016. Please save the date. Further details to follow. Hello, My Name is Paul Smith was on display at the Design Museum from 15 November, 2013 until 22 June, 2014 and attracted 111,000 visitors. It then travelled to Mode Museum Hasselt, Belgium 26 February – 7 June, 2015 and attracted 40,000 visitors; its most successful exhibition in 25 years. The Design Museum is building the world’s leading museum devoted to architecture and design, its work encompasses all elements of design, including fashion, product and graphic design. Since it opened its doors in 1989 the museum has displayed everything from an AK-47 to Lady Gaga’s Gareth Pugh-designed bin bag dress. It has staged over 100 exhibitions, welcomed over five million visitors and showcased the work of some of the world’s most celebrated designers including Paul Smith, Zaha Hadid, Jonathan Ive, Miuccia Prada, Frank Gehry, Eileen Gray and Dieter Rams. The Design Museum is relocating from its current home at Shad Thames to the former Commonwealth Institute building in Kensington, west London. The project is expected to be completed by 2016.